The journey for a cardiac patient who receives care from the OHI team begins with screening. Before we arrive, the King Faisal Hospital contacts those on their register with relevant cardiac conditions and invites them to come in for screening. Word gets out, however, and during the screening period more potential patients arrive at the hospital to be considered. The screening team have the responsibility of determining which patients are the most appropriate to receive treatment, based on a variety of factors. Approximately twenty children are chosen. They come in and spend the night before their scheduled operation to ensure they are well enough to go through the process. The day before her surgery I spent a few minute with Honorine, a very cheeky four year old girl who said that she’d have big arm muscles like me when she was done. I don’t doubt it. 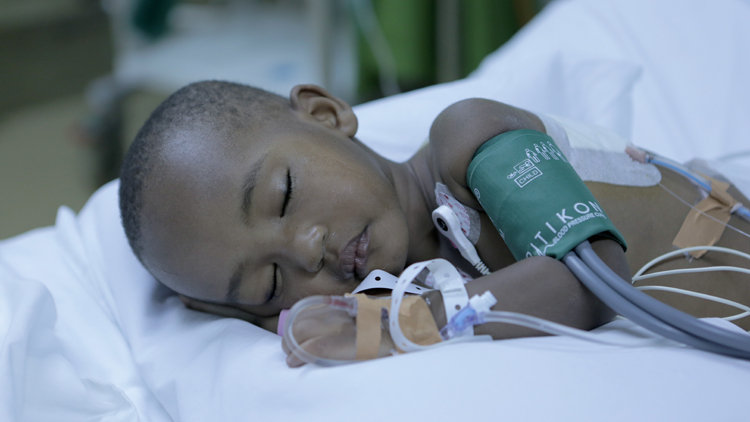 On our first day of surgery four PDA cases received closed heart surgery and by 5pm Sheila, Eric and Henriette where settled into ICU, while Hyacinthe was still in theatre. From an outsider’s perspective this process is so swift. 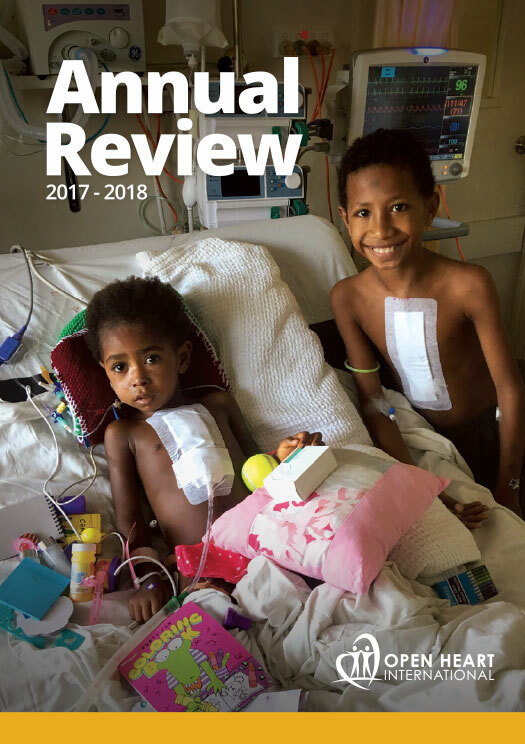 Watching the children wake up after their anaesthetic, clutching the soft toys or dolls we’ve given them is a moment that is both heart-warming and heartbreaking. Awaiting in a nearby room are the mothers and families of the patients, ready to see their babies as soon as they are well enough. Generally they are only in ICU for around 24 hours before they move to the wards and all the energy returns and it’s all about balls and bubbles. Sheila, another day one patient, who charmed the staff with her energetic waving and smiles as she was getting ready, was back to form the first night in ICU. Samantha and Lisa, the ICU nurses on duty, found her crying. When they were unable to find a medical reason for her tears they were told by the local staff that she was worried they were going to steal her toys. Once they were placed within easy reach she promptly returned to sleep. It was lovely to see patients coming through the process and we look forward to the rest of the week running just as smoothly.